Pittock Mansion is home to a wide array of period furnishings and personal artifacts that connect visitors to early 20th-century life. Heirlooms donated by Portland founding families, like the Failings and Couches, are on display in addition to our original Pittock family pieces. 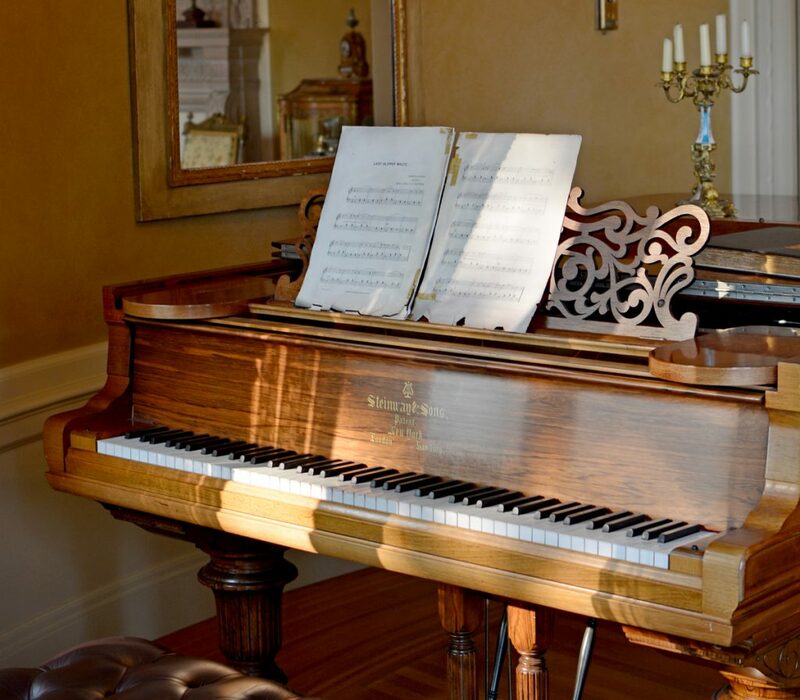 Highlights include the Pittocks’ Steinway grand piano, a Couch family desk, the Failing family’s set of Limoges china, and Henry Pittock’s masonic sword. Interested in donating an item? Please contact our Curator. 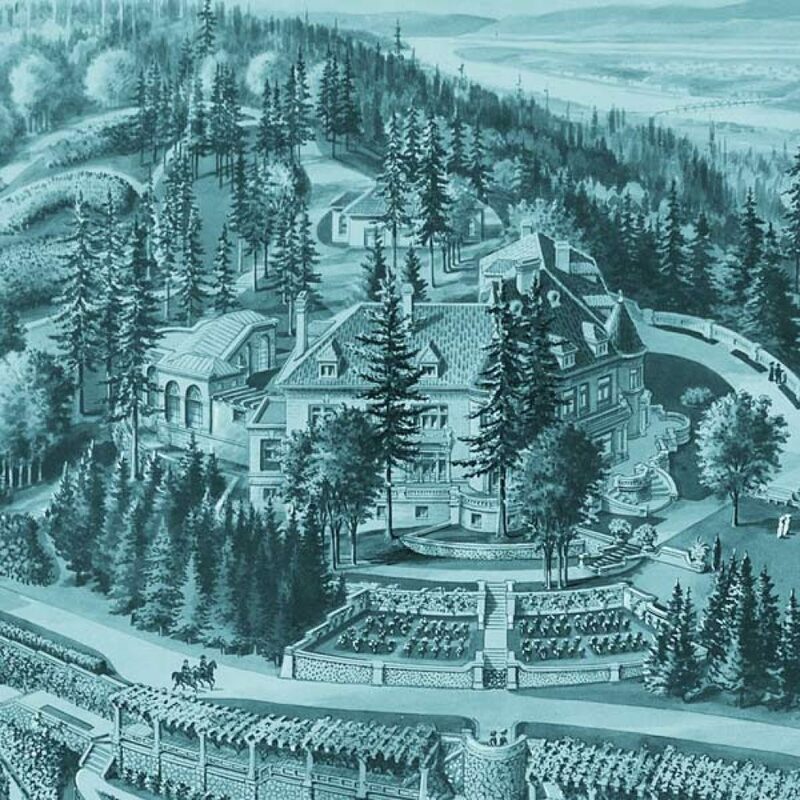 Pittock Mansion has experienced some dramatic changes over the course of its history, and the same is true for the grounds surrounding the historic home. From a private family estate to a public garden and park, explore the changing perspectives and approaches to the landscaping and usage of the Pittock estate, and discover how the grounds were developed into the renowned garden and park it is today.